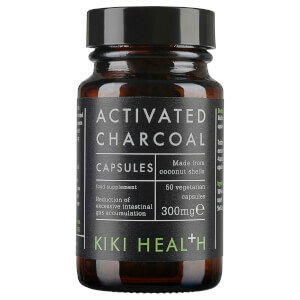 Organic Nature's Living Superfood from KIKI Health is a 100% raw, alkalising whole food supplement that supports daily nutritional needs and helps promote good digestive health. Organic Nature’s Living Superfood is NOT diluted with inexpensive Apple, Fibre, Rice, Bran, Barley, Malt, F.O.S., Oat Bran, Rice Solids, large amounts of Lecithin or anything else. Adults intake should begin with ½ teaspoon daily and gradually increase to 1 or more heaped teaspoons according to your lifestyle. Can be consumed mixed with juice or pure water. Alternatively it can be sprinkled or mixed with food. Packed in amber glass for optimum nutritional preservation, freshness and purity. Land Vegetables: Nettle Leaf, Wheat Grass, Barley Grass, Horsetail, Alfalfa Grass Juice, Carob, Burdock Root, Ginger Root, Nopal Cactus, Barley Grass Juice, Wheat Grass Juice, Oat Grass Juice, Dandelion Leaf, Parsley Leaf, Kale, Broccoli, Cabbage, Alma Fruit. Bacterial Cultures: Lactobacillus Acidophilus*, Bifidobacterium Breve*,Bifidobacterium Infantis*, Bifidobacterium Longum*.